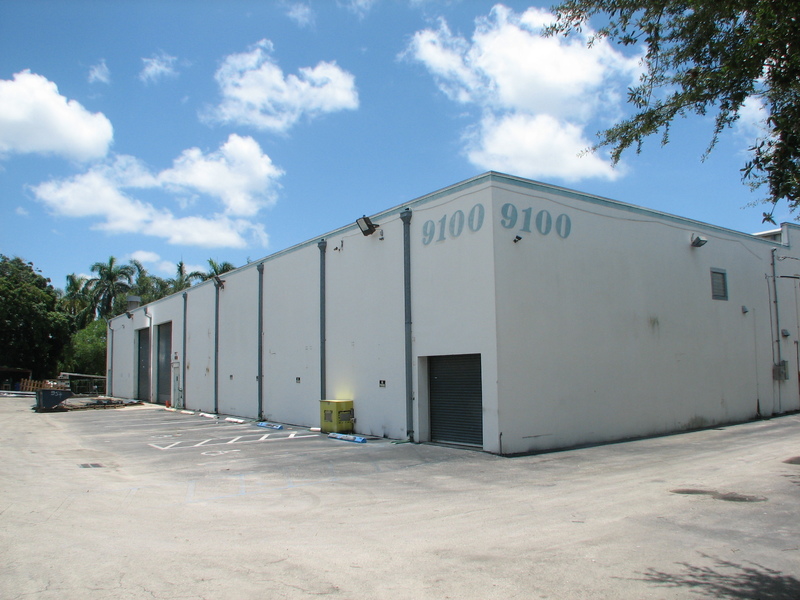 We are proud to introduce to you this Airport West Miami Dade warehouse building for sale or lease known as The 58th Street Warehouse Building. The property is located at 9100 Northwest 58th Street in the City of Doral, Florida. The total warehouse space size measures about 27,000 square feet with about 2,000 sq. ft. of office space; plus a concrete mezzanine above. Since there are three separate bays, the owner will consider leasing each bay of about 8,000 sq. ft. on a separate basis. There is good frontage on busy NW 58th Street here in Doral as residents and businessmen drive to and from “Doraluela” (Doral-uela is named this due to Doral’s heavy population of Venezuelans). The loading positions consist of a combination of four street level doors and one dock, truck well which serves the entire building along the south side. Ceiling heights range from 18′ to 20′ clear. The industrial zoning and heavy electrical power makes this ideal for a manufacturing facility. The location is near the Palmetto and Dolphin Expressways, Florida Turnpike and the Miami International Airport. One of the special features includes a paint both which can remain or be removed. The property will be vacated in the Fall of 2011 by the existing tenant, Concept Elevators Group of Miami. (Visit www.conceptelevator.com or call 866-506-8955 or 786-845-8955). Most importantly, the Owner will consider a lease with a purchase option and/or owner financing. One of the best parts is that the property backs up to the Doral Country Club’s golf course! For more information on this Miami warehouse building for sale or lease in Airport West Dade and/or to schedule a tour, please contact the ComReal Miami Warehouse Team at 786-433-2380. Thank you very much.